Some parts of the country have a longer relationship with food trucks – or their predecessors – than others. The first mobile kitchen, the chuckwagon, catered to cattle drivers on the High Plains of Texas and Oklahoma from the mid-19th century onwards. In urban areas, the first food carts sold hearty meals to third-shift workers, long after regular restaurants had closed for the night. New York’s ubiquitous hot dog carts are remnants of this past as well. And starting in the mid-20th century, taco trucks – serving cheap, homestyle food to the region’s booming Latino community – appeared in southern California cities. Another Los Angeles original, the Kogi Korean BBQ truck, is widely credited with re-energizing the food truck movement. This truck uses social media marketing to alert followers to its ever-changing location, as Twitter and Facebook are now key marketing tools for many food truck operators. 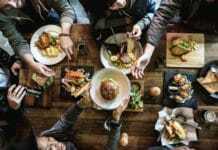 Once the value proposition – high-quality, relatively healthy, and often unique food at a reasonable cost – became clear, urban foodies clamored for more. The economic downturn didn’t hurt business either. Talented but unemployed chefs desperate to find new sources of income seized on the mobile food truck business model. Kogi’s approach caught on like wildfire. Local food truck business associations, multi-city finder apps, and even online marketplaces for used food trucks popped up. Fast forward several years, and food trucks are everywhere. They’re still cheaper and faster than high-end restaurants, though prices do vary between them. For instance, Washington, D.C.’s Feelin’ Crabby charges $17 for a seven-ounce lobster-and-crab sandwich, while $3 still gets you a gourmet beef or pork taco at many neighborhood taco trucks. Due to increased competition and limited food storage space, some vendors now focus on narrow niches. For example, in Minneapolis, Foxy Falafel serves nothing but falafel and hummus, while multi-city Coolhaus specializes in ice cream sandwiches. It’s now possible to find food trucks in small towns, tidy suburbs, medium-sized industrial cities, and major metropolitan areas. Whether due to sheer numbers or a commitment to innovative mobile cuisine, some North American cities have developed a reputation as food truck meccas. In no particular order, here are some of the best. At last count, Philadelphia had more than 130 food trucks. Many cluster in business districts such as University City and Center City, as well as around transit hubs like 30th Street Station. During the warm season, Love Park (home of the famous LOVE sculpture) is a popular gathering place as well. And the city’s big universities, such as Drexel University and the University of Pennsylvania, attract a disproportionate number while classes are in session. Why It’s Great. Philly has roughly one food truck for every 11,500 inhabitants, and that ratio is becoming even closer. The local industry is tight-knit and community-focused, with a highly developed advocacy network in the Philadelphia Mobile Food Association, which lobbies the city council and neighborhood associations for truck-friendly changes to zoning, siting, and licensing rules. The homegrown Philly Food Truck app connects hungry folks with their favorite vendors, showing their current locations and hours. And, since Philly has a high student population, many trucks are affordable, adventurous, and willing to keep late-night hours. Trucks to Try. If you live or work in Center City, visit Say Cheese (try the Presto Pesto and Wild Bill, both $6) at 16th Street and John F. Kennedy Boulevard on Fridays, or Octopus Falafel Truck for an enormous falafel sandwich (prices vary, depending on fillings) at 20th and Market. Meanwhile, The Creperie at Temple does sub-$10 crepes in more than a dozen ways (for opposite ends of the spectrum, try the Meat Lover and Very Veggie) near Temple University. The roaming Dapper Dog shuttles along the Broad Street corridor, leaving $5 Chicago- and Jersey-style hot dogs in its wake. Cleveland has more than 40 mobile food vendors, mostly clustered downtown or in University Circle. As in Philadelphia, college students make out well: Both Cleveland State and Case Western University have native food trucks, and many roam between these two points. Cleveland’s weather does pose a challenge, with many operators closing for the long, snowy winters. Some, however, like Chris Hodgson of Hodge Podge Truck, focus on their brick-and-mortar restaurants during the cold season. Come May, springtime festivals rouse the rest from hibernation. Why It’s Great. A ratio of roughly one food truck for every 10,000 inhabitants is impressive for a city that’s not always associated with innovative cuisine. It doesn’t yet have a local trade group, but Cleveland Food Truck serves as its PR mouthpiece and online used truck marketplace. Cleveland does have a resident food truck ambassador in Chris Hodgson, whose truck won second place on Food Network’s The Great Food Truck Race and who appeared on the Cooking Channel’s “Unique Eats.” Weekly gatherings such as Walnut Wednesdays attract upwards of a dozen trucks to fixed locations in the city’s business district. Trucks to Try. strEAT Mobile Bistro (try the summer pulled porch sandwich or holy chicken burrito, both $8) is a staple of the University Circle area. Donut Lab (sub-$5 donuts with various glazes and toppings) typically hangs out at East Shore Park and Cleveland Flea. Fire Truck Pizza Company brings its on-board pizza oven (in an actual fire truck) to Berea’s Italian American Festival and the Walnut Wednesday gathering. Its pies start at $8 and increase from there, with special pricing for catered events. With the mildest climate of any big Canadian city, Vancouver has an entrenched outdoor dining culture. There are at least 100 officially licensed food trucks here, though the exact count fluctuates. Many of them cluster in the densely populated downtown and West End districts, but you can find a few in suburbs like New Westminster too. Even by the industry’s eclectic standards, Vancouver’s food trucks are innovative and globally focused, with many inspired by Indian, East Asian, and Middle Eastern cuisine. Why It’s Great. Vancouver’s official mobile food industry association, StreetFood Vancouver Society, has strict membership criteria, including local ownership, homemade ingredients, and high-quality food. Members pool their resources for marketing, PR, and regulatory advocacy. The city-run Vancouver Street Food Program has its own truck-locating app. And Vancouver Food Cart Fest is one of Canada’s biggest mobile food gatherings, with more than 20 regular vendors and thousands of attendees at weekly events in Olympic Village and Surrey. Trucks to Try. Vancouver’s food truck scene is diverse and cheap. Guanaco Salvadoran Cuisine (featuring seasoned pork revueltas for $8 Canadian), alternates between downtown, 33 Acres Brewing Company, and the North Vancouver Night Market. Soho Road Naan Kebab (try both of the namesake dishes for under $10) is semi-permanently parked near the Vancouver City Centre complex. And Tandoori Tikka Dog offers kosher hot dogs with Subcontinental seasonings ($5 to $10, depending on fixings) for weekday lunches outside the Waterfront Metro Station. Food trucks are increasingly important to San Francisco’s legendary food scene – and a welcome alternative to the business district’s pricey restaurants. The city has about 200 active trucks, with many more in nearby Bay Area communities. Many cluster near the Embarcadero and along the Market Street corridor, but the University of San Francisco, San Francisco General Hospital, and AT&T Park (during Giants home games) are popular too. The city’s sophisticated food culture rewards experimentation, and its high student population and vibrant nightlife encourage many trucks to remain open well after dinner hours. Why It’s Great. For foodies, the city has a dedicated truck tracker app in Frisky Food Trucks. It also has an active trade group in the SF Cart Project, whose veteran members mentor new food truck operators. If you can’t make it downtown at lunchtime, the Off the Grid series brings an impressive concentration of trucks to outlying areas, including Presidio Park, Fort Mason, and the Serramonte Center in Daly City. In August, the annual San Francisco Street Food Festival brings more than 80 food trucks to the Mission District. Trucks to Try. Not up for a hot-cooked mobile meal? Look around the Mission District or SoMa for Manna Japanese (hand rolls start at $8), which bills itself as the city’s first mobile sushi restaurant. The Taco Guys truck uses sustainable, organic ingredients to make its signature beef Colorado and fish tacos – find it near Fort Mason, the Embarcadero, or at the Marin Farmer’s Market. For dessert, try the cupcakes and mini pies ($3 and up, depending on type) at Sweet Treat Stop, which roams between the Embarcadero, Tenderloin District, and San Francisco University areas. Houston is a sprawling city, so being able to locate a food truck near you is important if you’re pressed for time. With at least 1,000 of them in the city and surrounding communities, that shouldn’t be hard. Trucks tend to favor busy business districts such as downtown Houston and the Westside, as well as shopping areas like the Galleria and Greenspoint. Affordable, student-friendly options cluster near Rice and Baylor Universities. And the always-busy Texas Medical Center, the world’s largest healthcare facility, draws vendors well before and after the lunch rush. Why It’s Great. Even when you factor in the population of its suburbs, the greater Houston area has about one food truck for every 4,000 inhabitants. That staggering density has created tremendous community support for mobile food vendors. Back in 2012, the Mobile Food Unit Houston Collective successfully lobbied the city council to eliminate several unfriendly regulations. “Houston’s Top 100 Food Trucks,” one of the few books written about an individual city’s vendors, speaks to its burgeoning food truck scene. Every May, the Houston Food Truck Festival draws dozens of trucks and thousands of visitors. Haute Wheels Houston, a March gathering of three dozen high-concept trucks, is its upscale cousin. Trucks to Try. If you live or work in central Houston, try GastroPunk’s no-rules approach to high-end fast food (highlights: the $9 buttermilk chicken sandwich and $12 ahi tuna burger) or Zeapod Cakery’s delicious sweets (individual cupcakes start at $3). Chilantro, which fuses Korean BBQ and Mexican street food (a highlight is kimchi fries), can typically be found near the Galleria or along the Westerheimer Road corridor. Kozy BBQ, a straight-ahead Texas barbecue joint, roams the streets of Northeast Houston with sub-$10 hamburgers and traditional briskets. 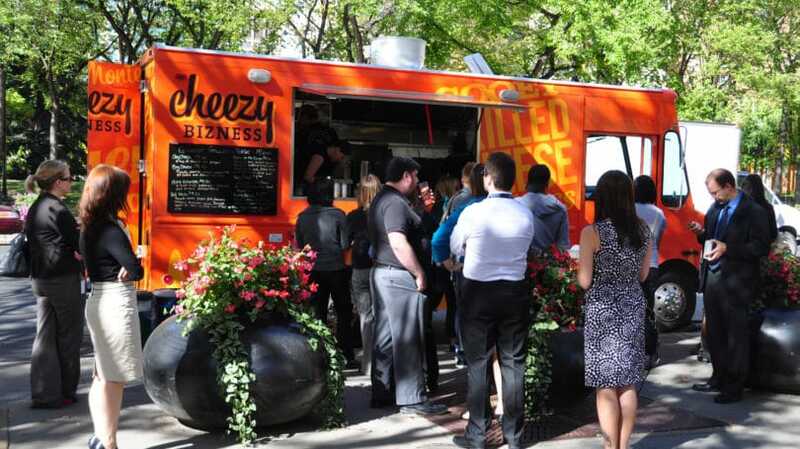 Short summers don’t hamper the Minneapolis-St. Paul food truck scene, though trucks usually stick close to office building entrances during the cold season. On weekdays, vendors tend to park in the cities’ respective downtowns, with Nicollet Mall in Minneapolis and Galtier Plaza in St. Paul among the most popular destinations. The University of Minnesota and the surrounding Dinkytown neighborhood draw cheaper alternatives, while the St. Anthony Main nightlife district bustles after dark. Dinnertime partnerships between the area’s brewery taprooms and food trucks abound as well. Why It’s Great. Like Philadelphia, Minneapolis-St. Paul has a tight-knit, well-organized food truck community. Though the two big cities have friendly regulations, the 60-member Minnesota Food Truck Association advocates for sensible ordinance changes in surrounding communities. Local foodie festivals like Taste of Minnesota and the Minnesota Food Truck Festival showcase new entrants. Whereas Cleveland’s mobile food business slows down considerably in the cold months, trucks here need to power through even longer winters to justify their existence. Fortunately, big festivals such as the St. Paul Winter Carnival and Beer Dabbler Winter Carnival, both of which rely on food trucks as their primary food vendors, catch folks who don’t leave their offices for weekday winter lunches. Trucks to Try. If you work in downtown Minneapolis, visit 2nd Avenue’s Food Truck Row for fried tomato BLT sliders (two for $8) at the Moral Omnivore or Juicy Lucita empanadas (two for $7, three for $10) at MidNord Empanadas. Potter’s Pasties, which sells at least a dozen types of Cornish pasty ($5 and up), trawls the St. Anthony Main area. Pricier Hola Arepa (traditional cornmeal arepas for $10 and up) rotates between the Lake Street and University Avenue corridors. 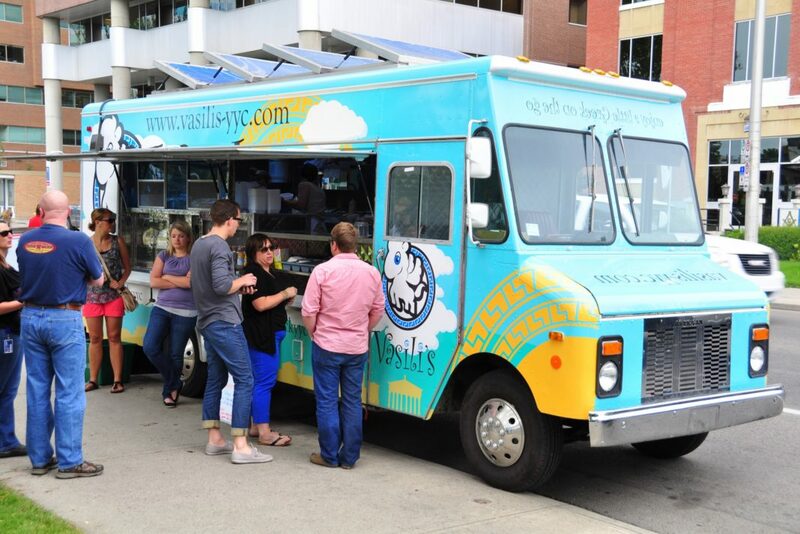 Atlanta’s food truck scene has grown by leaps and bounds since 2010. Trucks now roam the city’s three major business districts – Downtown, Midtown, and Buckhead – as well as suburban business districts such as the Perimeter Center and the Castleberry Hill creative district. Academic and corporate campuses, including Georgia Tech, where many lower-cost options congregate, and Coca-Cola’s headquarters, are popular too. On nice weekends, vendors migrate to green spaces like Piedmont Park. It’s not all Southern-fried meats and stewed greens either. Atlanta has some of this list’s most innovative mobile food vendors, at price points that reflect the area’s relatively low cost of living. Why It’s Great. 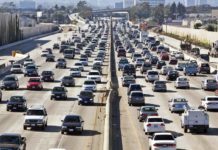 Though Atlanta has fewer trucks than Houston or San Francisco, it has a strong support and advocacy network. The Atlanta Street Food Coalition maintains a current calendar (though not an interactive app) with food truck locations and times. 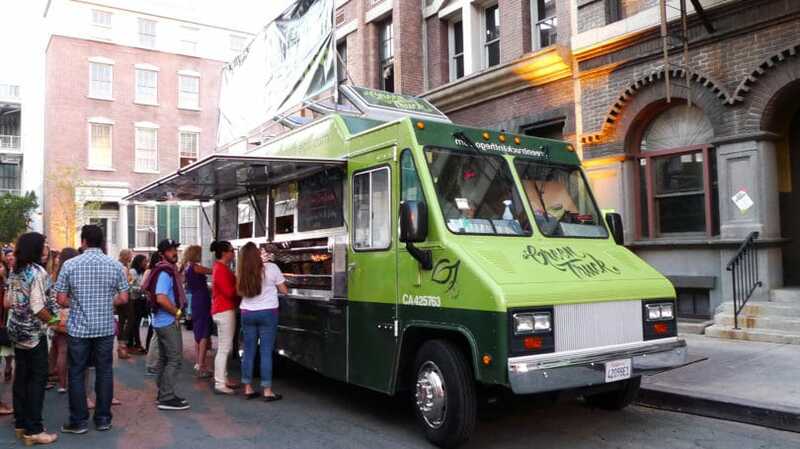 The Food Movement, a for-profit company, is in the early stages of building an empire of complementary food trucks – it currently owns at least a dozen. Atlanta also has two hubs where trucks can reserve space semi-permanently: the Atlanta Food Truck Park & Event Center, and the Food Movement’s hub at 2715 Peachtree Square. Trucks to Try. The Food Movement’s trucks have lots of momentum behind them. Local favorites include Masala Fresh (rice bowls or naan wraps with various Indian protein fillings for $5 and up) and Pho Sho (banh mi sandwiches with various fillings, $4 and up). For an independent alternative, try Yumbii, an Asian-Mexican fusion joint that alternates between the city’s business hubs and university campuses ($3 tacos and $5 burritos with your choice of pulled pork, chicken, Asian ribeye, and stir-fried tofu). King of Pops, a Piedmont Park regular, makes popsicles in dozens of innovative flavors. Portland’s reputation as an alternative mecca extends to its culinary scene. While there are some straight-up taco trucks here, you’re just as likely to find carts that sling over-sized green salads (Garden Monsters) and smoothie stands that require you to blend your own smoothie by pedaling on a stationary bike (Moberi). Though there are lots of options in downtown Portland, especially near MAX stations, coverage is also good in outlying neighborhoods like Southeast Portland and the Richmond district. The rainy winters don’t seem to affect business, with many of the city’s 500 trucks and carts generally staying open year-round. U.S. News recently ranked Portland number one on its “World’s Best Street Food” list. Why It’s Great. Portland clearly supports its food trucks, both formally and informally. Portland Food Carts, a well-run blog, bills itself as “an ode to Portland’s food carts, and a practical guide on where to find them and what to eat once you get there.” It regularly announces new openings and noteworthy regulatory changes. ORegon Street Food Association is an advocacy organization that prods the city’s government to be even more accommodating than it already is. On the ground, many food cart vendors belong to well-organized “pods” – lots or street corners with anywhere from two to two-dozen permanent or semi-permanent tenants. Festivals such as Eat Mobile and the Portland Summer Food Cart Festival attract upwards of 100 vendors. Trucks to Try. Up early and craving day-old chicken eggs? Try The Big Egg ($5 Portlander Sandwich with fresh egg, vintage cheddar, and stone-ground mustard) on North Mississippi. For a downtown lunch option, try KoiFusion, a Korean-Mexican truck that offers mind-bending choices like bulgogi beef tacos. KoiFusion occasionally visits the Nike and Adidas campuses, too. On chilly days, visit the corner of SW Alder and SW 10th, where Savor Soup House offers a rotating menu of $5 soup bowls, including vegan options. Unless there’s an air quality alert, the weather doesn’t really affect L.A.’s food truck scene. Veteran taco truck operators now work alongside farm-to-table specialists, pizza trucks, mobile donut shops, and trucks that serve gourmet Brazilian cuisine. Coverage isn’t uniform across L.A.’s many neighborhoods, but it’s not confined to the downtown core, either: West Hollywood, Santa Monica, and Century City all host clusters with permanent or semi-permanent members. A few brave souls even make it out to Valley communities such as Van Nuys and Northridge. Why It’s Great. Surprisingly, L.A. doesn’t have a robust advocacy group, though the Southern California Mobile Food Vendors Association (SoCal MFVA) offers lots of helpful information for budding entrepreneurs. LotMom, a local booking company, connects operators with spots at several permanent food truck lots around the L.A. Basin, including the Santa Monica/Victorian Lot, the University of Southern California Lot, and the Century City Lot – food truck lots are popular here because of a local ordinance that requires trucks to have a bathroom on-board or serve within 200 feet of a public restroom with running water. The Find Food Trucks app maintains a real-time database of food truck locations too. In addition to the annual L.A. Street Food Festival, trucks converge on neighborhood food fairs and ethnic heritage celebrations throughout the year. Trucks to Try. If you work downtown and fancy Brazilian cuisine, Ta Bom (sweet potato and black bean wrap for $7 or chicken prato feito for $12) frequents the San Pedro Wholesale Mart. In West L.A., Lobos Truck (one-third pound Diablo Burger for $10.50) shuttles between locations in Westwood and Santa Monica. In the Studio City area, Steel City Sandwiches sells massive Pittsburgh-style sandwiches – think lots of Italian-style meats and cheeses, with fries – for $8 to $12. Contrary to popular belief, Seattle doesn’t run on coffee alone. 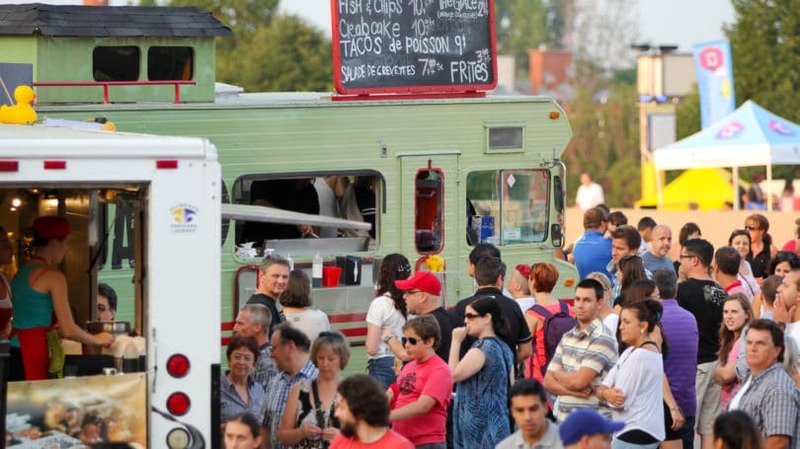 The city’s food truck scene features plenty of fresh fish and locally sourced greens. Coverage extends well outside the central business district, to the University of Washington campus, Capitol Hill, Queen Anne, South Lake Union, and commercial suburbs such as Bellevue and Renton. The main campus of Swedish Medical Center attracts trucks during business hours as well. The outskirts of Pike Place Market are a dinnertime and after-hours draw, especially on bustling weekend evenings. Why It’s Great. Like its two Pacific Northwest neighbors, Seattle has a well-organized, vibrant food truck scene. Seattle Food Trucks is the city’s native truck-finder app, though its mobile functionality needs some work. The Seattle Food Truck Alliance performs political advocacy work, distributes PR materials, and organizes truck gatherings around the city. In May, the Mobile Food Rodeo draws about 60 trucks over two days to the International District and Fremont Sunday Market. Attendees there can also partake in a beer garden and live lucha libre. August brings the Seattle Street Food Festival, a gathering of about 50 vendors at Cal Anderson Park that’s preceded by a series of pop-up food truck events. Smaller events abound throughout the warm season. Trucks to Try. If you live in South Lake Union or work downtown, Contigo offers a small menu of authentic tacos ($3 and up) and tortas ($5 and up) for lunch and dinner. Off the Rez, another downtown staple (often near the Viaduct), sells Native American frybread, as well as tacos and empanadas. Maximus-Minimus, which roams between downtown and the University district in a truck retrofitted to resemble a hog, offers two varieties of pulled pork sandwich – the spicy Maximus and the milder Minimus – plus fixings ($7, plus the cost of toppings). The ongoing food truck boom is great for entrepreneurial chefs and time-pressed foodies alike. Though having lunch at a food truck every day may not be any cheaper than visiting Panera Bread or Wendy’s – or certainly bringing a bag lunch to work – mobile food vendors deliver affordable, convenient cuisine rooted in the culture of your city. Since it’s generally cheaper to start a food truck than to open a fixed restaurant, more talented chefs have the opportunity to be their own bosses and showcase their skills to a broad audience.